It is used for performing sum operation on the data. It can take ‘n’ number of arguments in the form of numbers. Average Function is used to calculate averages. Steps are same to evaluate any function. It can take ‘n’ number of arguments. It is calculated as follows. D2:D9 is the range of which you want to calculate average of. 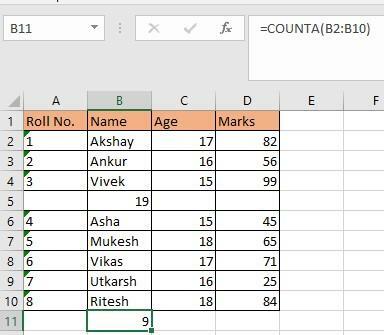 Count function is used to calculate no. of entries in the table. It cannot count strings and blanks. 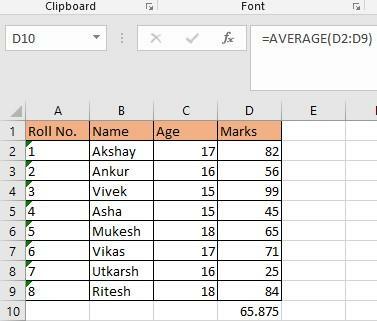 For example, you want to calculate the number of values in TABLE 1 in column D i.e. It is used to count string as well as numeric values. The formula is “ =COUNTA(B2:B10), B2:B10 is the selected range. As u can see it is counting strings as well as numeric values. Likewise, we have COUNTBLANK. It is used to count blanks. 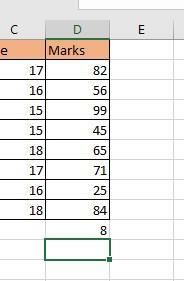 There is one blank in column B therefore it shows 1. 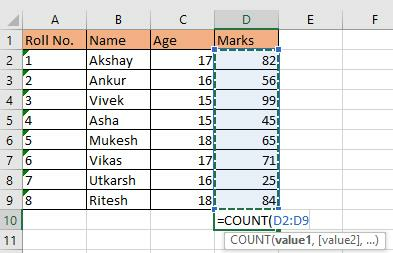 It is used to get the maximum value out of all the values. The formula is “ =MAX(D2:D9)”, where the range D2:D9 is the selected range and the highest value from it is 99. It is used to get the minimum value out of all the values. The formula is “ =MIN(D2:D9)”, where the range D2:D9 is the selected range and the highest value from it is 25.